﻿ Hanover Winery - Ohio. Find It Here. 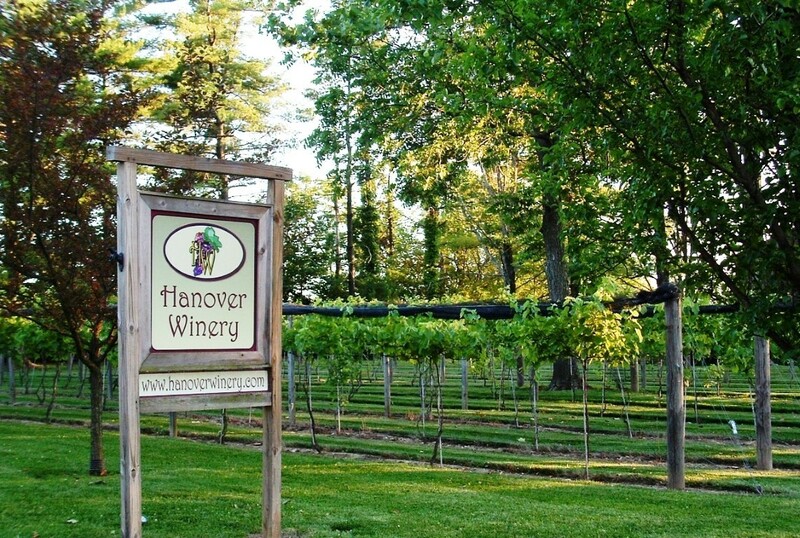 Hanover Winery is a rural farm winery located in Hanover Township, Hamilton, the Southwest corner of Ohio. Approximately 10 minutes Southeast of Miami University, Oxford, Ohio. We are a family owned and operated winery and we produce and bottle over 25 wines on site. We offer a large selection of award winning wines from dry to sweet. Wine tastings are available anytime during open hours. Guests are welcome to bring their picnics to enjoy with a wine purchase at one of the outside tables by the pond. Amazing sunsets in a relaxing setting! Voted Best Date Night Spot in Butler County! Local carryout food deliveries are also available. Live music is scheduled throughout the Summer and Fall for evening entertainment. Our winery tasting room is open Wednesdays through Saturdays. Please visit our website for current hours, wines available, events and live outdoor music schedules. Please note that we are a 21 and over winery. Free, On-site Parking, Live Entertainment.